In another first, Secretary of State John Kerry met with Iran’s foreign minister at the Upper East Side residence of Iran’s U.N. ambassador. The two were in New York to attend a U.N. conference on the Non-Proliferation of Nuclear Weapons Treaty. 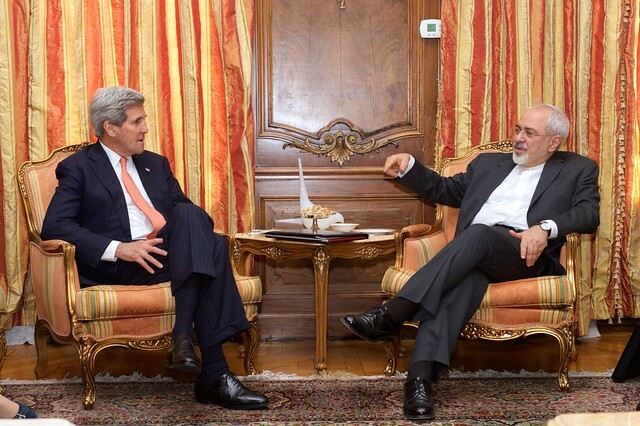 It was the first time Kerry and Mohammad Javad Zarif have met since the world’s six major powers and Iran agreed on a blueprint for a nuclear deal on April 2. The following is a roundup of pictures from the event.